Bangladesh faces many challenges, first and foremost political. Democratic space has been narrowing, and religious fanaticism in certain quarters is a deeply worrying aspect. The country is also confronted with environmental challenges. 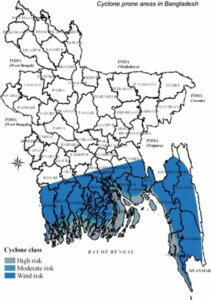 Although Bangladesh literally has its feet in deep water, there are also promising developments going on. Bangladesh is one of the developing countries that has made considerable progress in developing national plans for climate adaptation. Its National Adaptation Program of Action (NAPA) was initially formulated in 2005 and has been updated several times since, with the involvement of many stakeholders. Bangladesh is world renowned for the Sundarbans, the world’s largest coastal mangrove forest and a great ecological treasure. But the southern shores are also known for land erosion, salination of cropland, and major cyclones, displacing entire communities. Such events are exacerbated by sea level rise and reductions in freshwater reaching southern Bangladesh via the Brahmaputra and the Ganges. By the next 60 years, a 65 cm sea level rise might cause 40 percent of productive land to be lost in the southern parts of the country. Already about 20 million people in coastal areas are affected by salinity in drinking water. New technologies for harvesting rainwater have helped many families adapt to changing circumstances. With new ways of gathering and storing life-giving freshwater for dryer days, these families have not been forced to move away. 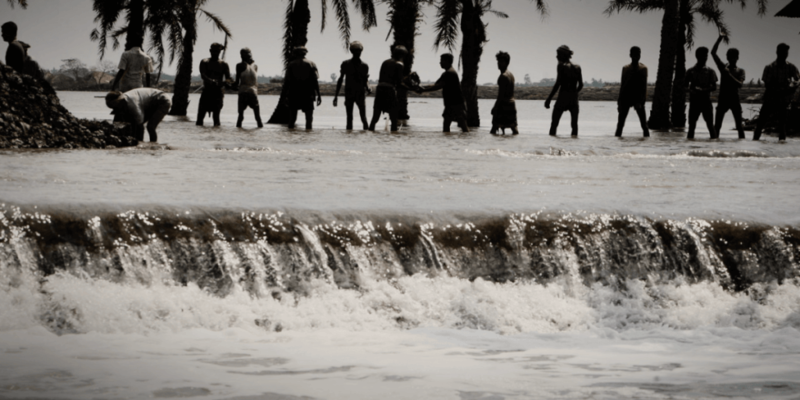 Saleemul Huq, director of the International Centre for Climate Change and Development (ICCCAD) in Dhaka, has for many years traveled the world talking about climate change in Bangladesh. He is also keen to change the narrative around climate displacement, building a vision of a positive and hopeful future. The country is planning a network of a dozen climate-resilient, migrant-friendly secondary cities where internal migrants can build a new life, instead of ending up on the pavements of Dhaka. I have also visited Bangladesh a couple of times. Witnessing children in rural areas marching in parades to commemorate Bangladeshi Independence Day on 26 March is one of the beautiful images I retain. I also remember vividly a three-day visit to various communities in the Rajshahi District. It also illustrated for me how climate adaptation programmes will have to penetrate a landscape of entrenched social injustice and feudalism. What struck me while visiting many of the villages – which were home to some of the poorest and most destitute – was the absence of political leadership. There seems to be few individuals or organisations within the villages able to advocate on behalf of their communities. Local politicians I met did not seem interested in the poorer sectors. Furthermore, there is little inter-community or inter-religious cooperation. One important element of community-based climate adaptation in areas such as those in the Rajshahi District will be ‘reinvestment’ in climate-resilient agriculture. This is essential to ensure communities’ right to food. Agroecological methods can complement conventional approaches, such as breeding high-yield varieties and contribute to broader economic development. Scaling-up of successful experiences that have been documented is the main challenge today. But public policies are also needed to create an enabling environment for these sustainable models of production. If not, local climate adaptation schemes – agricultural or otherwise – will not be able to address the social issues that need to be resolved to achieve equitable development. Accessing international and national climate finance will be easier in the coming years. But if the new money being made available is to be used for projects that repeat the failed development efforts of the past, we will not have made progress. Land tenure issues, social equity issues, and cultural taboos must all be addressed. If not, corrupt politicians and the lack of a local sense of identity will undermine good intentions. Andrew Kroglund is a freelance journalist and consultant. He has been director of the Norwegian Rainforest Foundation, and a senior adviser for several Norwegian NGOs, working on issues of social justice, food security, and the environment.